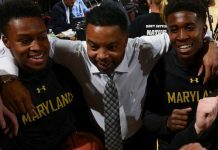 Leaving the Atlantic Coast Conference for the money of the B1G finally paid dividends for the Maryland men’s basketball program. 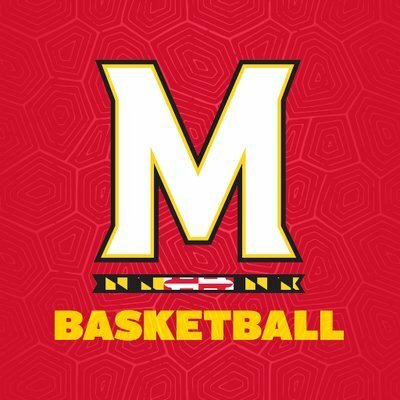 After losing in the first round of the conference’s tournament for a third consecutive year, the Terps were literally blessed with a six seed in the east region and will face Belmont who beat Temple in the First Four play game Tuesday. Maryland finished 22-10 and fifth place in the conference but they finished the regular season losing seven of their last 14 games, including a lame effort in their 69-62 loss to Nebraska, which led to another premature dismissal from the B1G Tournament. Mark Turgeon will bring a much-needed check back to College Park, but the pressure is squarely on him to win a postseason game to restore credibility to the program. Turgeon is a master recruiter who is affable and universally regarded as one of the nicer gentlemen in sports. However, there is no Mr. Congeniality award in competitive athletics. There is no honor in just making the dance without playing into the second weekend. The Terps have become a mediocre program with no realistic expectations of getting to the Final Four. Last week’s performance in the B1G Tournament personifies why Maryland’s program is a Clydesdale in a race against thoroughbreds. By all measures, the Terps have the talent to be a Sweet 16 team. Each of the last four years they’ve had a Top 20 recruiting class. Their anchor, center Bruno Fernando, is expected to be playing his final college games in the NCAA Tournament, but there is no reason to believe he’s a transcendent player ready who can put the team on his back and carry them to four wins and Minneapolis for college basketball’s shining moment. Guard Anthony Cowan, in a moment of brutal honesty during their tournament watch party, admitted he still has dreams of finally winning a postseason game, which is what motivates him. 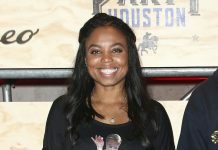 At the risk of tempering expectations, that was unheard of during the halcyon days of Juan Dixon, Steve Blake or Joe Smith. On paper the bracket looks favorable for the Terps given they will have a full week off to rest and prepare for Belmont who met Temple on Tuesday in a First Four game in Dayton. Maryland will also benefit from heading straight to Jacksonville while the winner of that will have to make another road trip with only a day to prepare for them. But has Turgeon ever proven he can prepare a team for a big game? That is what stands out after last week’s fiasco in Chicago. Maryland wasn’t prepared for their conference tournament and the team was emotionally flat. The Terps stepped on the floor and were listless from the start. Nebraska, who they beat twice during the regular season, outworked them on both ends of the floor. They held Fernando to three points and once Maryland pulled within seven, Turgeon lost his composure and earned a technical foul that killed their momentum and erased any hopes for a comeback win. Belmont is a poised, veteran team, who has a roster built around traditional college student-athlete who are grown men. They won’t be counterpunchers they will strike first. Under Turgeon, Maryland always looks to respond, while coaches who dictate lead the elite programs. He has been great at accepting responsibility of his team’s failure instead of preparing them to win. If Maryland can’t win at least one game in the NCAA Tournament this year the sands in the hourglass must turn on the Turgeon era.